If Galileo is the name that stands for the emergence of a new science and a new way of looking at the world, then Descartes is the one who grounds it in a new metaphysics. For the scientist, who is dismissive of the need for philosophy, since for her it is only important if her model works, this is of no importance, but in the history of philosophy, he institutes a whole new way of thinking that all subsequent philosophy has to answer to. One of the difficulties of reading Descartes, at least if you don’t read him in too much detail, and jump over the things he says that seem anachronistic, their main ideas have become such a part of our philosophical culture, indeed our culture as a whole (who has not heard of the famous cogito ego sum), that we can just read him without really making any attempt to understand. Moreover, the apparent ease of our interpretation means we can even think that we can easily dismiss these arguments, because everyone knows them and they hardly require any thought whatsoever. This is especially the case when we come to his famous proof of the existence of God, which we can dismiss with great ease if we are not aware of what problem it answers. Indeed the problem is more interesting than the question. The simplicity of this reading has more to do with our ignorance, however, rather than our deep understanding. It is because we are unaware of the context of Descartes’ argument, why he wrote what he did, and especially their revolutionary nature, that we can easily be misled as to their depth and originality. The most important element of this context is the rise of the new sciences in the 16th and 17th century. Before he saw himself as a philosopher, Descartes viewed himself (if these different functions were really as separable to him and his contemporaries, as they might be to us), as a scientist and a mathematician. He wrote a philosophy as a defence of the new science, and the importance of the mathematical method, rather than just a work of philosophy in itself. If we are going to understand how revolutionary the new science was, and why Descartes believed it required a different metaphysics to support it, then we have to recognise, if however succinctly and briefly, that metaphysics it rejected, which was Aristotelianism. Aristotle’s understanding of nature was the dominant picture of reality. The problem of dislodging this picture was not just that the new science rejected it, but that its hold on people’s imaginations was so prevalent and dominant. This is because Aristotle’s philosophy is the philosophy of common sense. It describes what we see around us, and thus to reject it is to reject everything we know around us. We can see why Descartes’ method is sceptical, because before he can reinstitute the new science on a secure ground, he must first of all get us to reject what we ordinarily take to be knowledge of the world. It is not enough to reform our current views; we have to reject them completely. Such a revolutionary change, one we are still living with, is obvious in the famous rejection of the geostatic universe for a heliocentric one, but it is perhaps a more ordinary example that might make it clearer for us exactly what is at stake here. Let us compare, therefore, an Aristotelian account of vision from a Cartesian one (Hatfield 2014, pp.291–4). We today might be very blasé about Descartes’ mechanical explanation of colour, because we take for granted the physiological explanation of colour (colour is nothing but the interaction of the spectrum of light with the retina), but it would have sounded strange to his contemporaries. In the Aristotelian conception of sensation, my perception of external objects is caused by the real qualities of those objects. Thus if I see a red rose then my perception of ‘red’ is caused by the red qualities of that rose. The red exists in the rose, travels to my eye, and thereby causes my sensation of red. As we can see, this seems to be a very common sense view of what happens when we see things (and there are probably people who still think that this is what it means to physically ‘see’ the colour red). Although there are specific problems with Descartes’ explanation of colour, which will wait for the modern developments in optics, we can see that we are in two totally different scientific worlds. Fundamentally for Aristotle, everything that exists is explained through form and matter. It is the form of something that explains what it is. Thus to understand what it a tree is one has to understand the ‘form’ tree. If we are looking at an oak tree, then the form would be contained in the acorn. This is true, just as much for animate as well as inanimate things. So to explain the sun, we also have to understand the form of the sun, as well as its material existence (which for Aristotle was the four elements, plus the mysterious fifth one, aether). For Descartes, there is only a material explanation of nature. If one wants to understand the sun, then one needs to understand the nuclear fusion of hydrogen to helium. Moreover, these material laws are the same for all objects in nature and the whole of nature itself. The explanation of our sun would be the same as for all suns in the universe, and these explanations would be would be the same for everything that exists (that is, matter in motion, which can be mathematical defined). The different physics of Aristotle and Descartes means that they have completely different metaphysics. The basis of the universe for Aristotle is individual substances. Because matter is not sufficient to explain what it is to be something, there cannot be a material explanation of nature. Each thing is an individual substance, which is the specific conjunction of form and matter, whether we are speaking of a tree or animal, me or you, the sun and the other stars. For Descartes, there is only one thing that exists and that is matter in motion, and every individual thing we see is only a property or a mode of this one material substance. Things differ only because matter differs (there is a difference is shape, size and motion of particles), not because there is an extrinsic difference between them. We can see in Aristotle’s metaphysics, that we need an explanation for each thing, whereas for Descartes, we only need a few simple laws of motion (three), in order to explain everything that we see, and that these simple laws of motion, since they have to only to do with shape, size and motion, can be explained quantitatively (that is mathematically) other than qualitatively in the Aristotelian system. It is for this reason why Descartes takes his doubt much further than classical scepticism. We should not only doubt our senses, for we know that they tell us lies about the world (is that pencil really bent that I see in the glass of water), but also the world of mathematics and even the status of reality itself. How do I know that this is not all a dream, since my dreams have been as vivid as my perception of the world right now, and why it is not possible that a malicious demon hasn’t put into my head the idea that 4+4 = 8, when it really is 9?. Now all these sound a bit excessive if we don’t know the scientific context of these doubts. If the truth of reality is in fact mathematical, then the question Descartes is really asking is how I know that this mathematical reality is real, when there is nothing in my ordinary experience that would verify it. If I can doubt everything in reality, even that my mathematical ideas are a true representation of what is real, then there is one thing, Descartes argues, that I cannot doubt, and that is I am thinking. For even if I doubt everything, there is one thing I cannot doubt and that is in the very act of doubting. What is important at this point in Descartes’ argument is not to confuse the status of the ‘I’ in the statement ‘I think therefore I am’. This I is not me as physical being. The ‘I’ that stands before you now, the ‘I’ that is writing this lecture on the computer. My physical reality is just as doubtful as the reality of the rest of physical nature. Also this ‘I’ only exists in the very moment of thinking. Only in the very act of thinking can the ‘I’ be said to exist, because it is self-refuting to argue otherwise. Even if I say, ‘I do not exist’, it is I who am thinking this, and so must exist in the moment I think it. Though the cogito is very limited in one sense, it also includes a lot more than one might first assume. First of all Descartes includes all acts of consciousness, such remembering, desires, and most importantly for us, perceiving. Thus when I desire something, I exist in the moment of desiring, when I remember something I exist in the moment of remembering it, and when I perceive something, I exist in the moment of perceiving it. Of course, following from radical doubt, I don’t know whether what I perceive is the same as what is in reality (it really could be all a dream, or mathematical code as in the film Matrix), but I cannot doubt that I am perceiving the chair. Secondly, and this is going to be very important when we come to look at the wax, the content of what I think, desire, remember and perceive is also real Again, it is not real, as in ‘out there’, but real in my mind. So when, I am thinking, remembering, desiring, perceiving a chair, I really am thinking, remember, desiring, perceiving a chair, even though I don’t know whether a chair really exists. What is going here, which is very important for understanding Descartes’ metaphysics, is that he is totally changing our idea of truth. Normally when we think of truth (and it should not surprise us, when we think of what we said about science above, that this too has a long Aristotelian heritage), we think of it as adequation. That is, we think that truth is about how we speak about the external world. When I say to you ‘There is chair’, you take this statement to be true, because there is a chair in the real world that corresponds to the statement. Now Descartes’ cannot appeal to this notion of truth, because at the moment of the status of the real world has been bracketed (I don’t know whether the world is true or not). He therefore replaces the truth as adequation, with truth as coherence. An idea is true because it is clear and distinct in my mind. The cogito is therefore a measure of what it is to be true since is self-evident that to have a thought there must be an ‘I’ that thinks it. But we can also say that the idea of triangle as a three sided figure is true, whereas the idea of square circle is not. Not because there are no square circle in the world, but because the idea itself does not make sense, since it is incoherent. What then do I think I perceive when I think that the idea of wax is sensation? I have a list of properties that describe the wax. It smells of flowers; it tastes of honey; it makes a sound when you tap it; it is hard and cold to the touch; and it is white and the shape of a cube. Doesn’t this, then, tell us exactly what the wax is. Why would we need to know anymore? We remember, though that Descartes is sitting in a warm room (it tells us at the beginning of the Meditations). With the heat of the room, all the properties of the wax change: there is no fragrance of flowers; no sweetness of honey; no sound when a hit it; it is not hard and cold; it is no longer white and shaped like a cup. How, therefore, can the sense tell us what the wax is, since now it is completely change. The idea of the wax under the thought of perception is a completely confused idea. However, even though I know the wax has completely changed, it is nonetheless the same piece of wax that remained the same throughout this transformation. What is this wax? It can’t be the list of properties of the sensation because these are completely different. It must be what remains when we strip away all these properties that have changed in our idea of the wax itself. What is it that remains? It is the idea of the body in general as ‘something extended, flexible and changeable’. [AT VII, 30] Although I cannot experience this body, since it would have innumerable shapes that I cannot imagine, I nonetheless can think it, and the idea of this body is less confused and incoherent understanding of the wax in general, than what is present by the idea of sensation. Going back to Descartes’ definition of truth, it is, therefore more true. At this point we haven’t got outside the cogito itself. I can say that the idea of extension as the correct understanding of bodies, rather than their real qualities, might make more sense, but it does not mean that the what the wax is in the real world is anything like that at all. At this stage, extension (that matter is extended in three dimensions) as the explanation of all the phenomena we see, including the secondary phenomena of the senses, is merely a hypothesis. To prove that nature in itself is like that, we need to get outside of our minds. But how are going to do that? Through the proof of the existence of God, because the idea of God is a very strange idea, and necessitates the actual existence of the content of the idea, in the way that no other idea I have does. 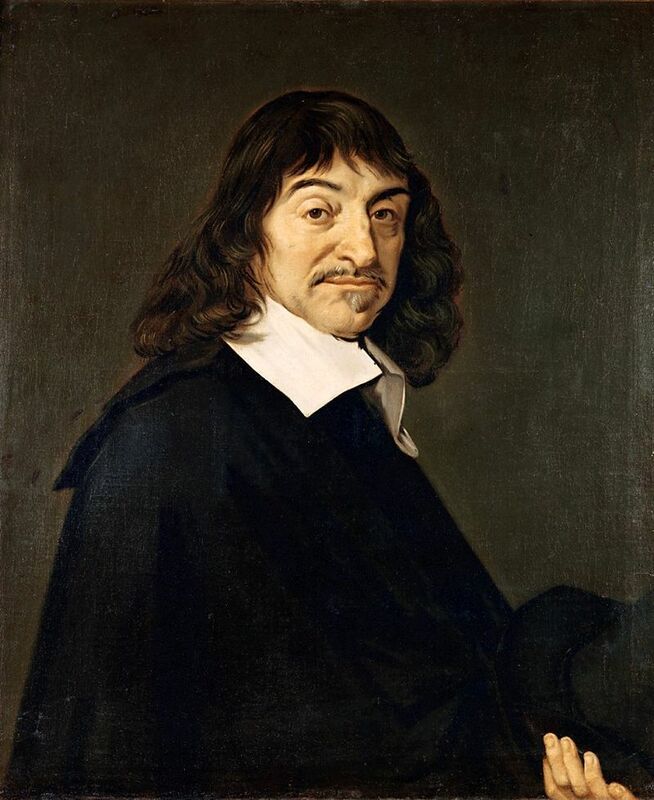 Descartes is not the first philosopher to use the ontological proof for the existence of God, but it does have a particular form in his philosophy, so it is worth going into it in a little more detail. Also, we need to remember what kind of work the proof is doing. Descartes is not proving the existence of God because he lacks faith. He already believes in God. He does not need a proof. We are speaking here of a philosophical concept of God and not a religious one (although as we shall see with Spinoza’s criticism of Descartes, he might sneak a theological notion within this concept). The concept of God is solving a philosophical problem for Descartes, how do we know that are scientific hypothesis that we cannot see with our senses, is actually telling us the truth about the world, and not a crisis of faith. This relation is essentially causal for Descartes. That is to say that the formal idea is the cause of the objective idea. We might put it this way. In the absence of the idea of the frog, they would be no ‘frog’ as an object of the idea. This means for Descartes that the idea of the frog, it formal reality, is the cause of the objective reality of the frog. It is not just the causality of ideas that we need to be aware of, but also, as we have already seen, that reality means for Descartes ‘degrees of perfection’. The proof for the existence of God is a combination of causality and perfection. Thus the formal reality not only causes the objective reality to exist, but also the degree of perfection that this idea has. Descartes regards it as a fundamental axiom that more cannot come from less. If the formal reality is the cause of the objective reality, then there must be as much reality in the formal reality as there is in the objective reality. We need to be very careful that we are speaking about ideas and not objects, and the best way to think about it is again in terms of a picture. Descartes’ argument is that a picture will have more reality than any other one the more reality that the object of the picture has. Thus to use Bernard William’s example: a picture of a pile of sticks will have less reality than a picture of a complex machine, precisely because the complex machine, as an objective reality, has more reality than a pile of sticks (Williams 2005, p.124). The best way to think of the relation between objective and formal relations, when it comes causality and perfection, is therefore backwards. From the complexity of the object of thought we go back to the complexity of the idea which is the origin of this thought. The success of Descartes’ metaphysical project rests on the existence of God. It would not surprise many readers that no many philosophers, even immediately so, were convinced by it. Cartesian science itself was pretty much left behind with the success of Newton (though he was clearly influenced by Descartes). However, I want to refer to one important critique of Descartes, which is Spinoza. He was as rationalist as Descartes (and thus his critique is very different from the empiricists and Kant who come later), but his argument with Descartes is that he did not take his ideas seriously enough. In other words, Spinoza wanted to out Descartes Descartes. Spinoza issue’s with Descartes is that he smuggles a theological conception of God into his philosophical idea of God, and that is the idea of creation. There are in fact three substances in Descartes: the two finite substances, mind and matter, and the infinite substance God. This mirrors the theological distinction in the idea of creation of the difference between transcendence and immanence. Now the transcendent God is beyond the comprehension of the finite mind (this is the turning point of the ontological proof for Descartes, I know that God exists, but I don’t know what God is, and God in his absolute power could have created a world in which triangles have 4 sides and 2+2=5). For Spinoza this is absurd. If there were a difference between an infinite God and a finite world, then God would not be infinite, since God would lack something; that is the finite world that is different from him. Also God could not be governed by different laws (as though God were a capricious tyrant), because this would mean that laws that came from God could have been different, but this too would mean that God would lack something, which would be the laws that he did not create. If God is infinite, and we start with this infinite, then the idea of transcendent wilful God that is still at the heart of Descartes’ project (which Spinoza will explain is only anthropomorphic idea of God), must be a fiction. ‘God,’ Spinoza writes, is the immanent, not the transitive, cause of all things’ (1P18). Rather than explaining attributes in relation to infinite substance, Descartes has explained substance in relation to attributes, and this is why he has ended up with three substances, rather than one unique substance, God, whose essence must infinite attributes (not just two) that express themselves through infinitely many things and ideas. We must begin, Spinoza is saying, with the infinite universe and explain are place within it, rather than projecting an image of ourselves onto this infinite universe. Ariew, R., 1986. Descartes as Critic of Galileo’s Scientific Methodology. Synthese, 67(1), pp.77–90. Deleuze, G., 1978. Les Cours de Gilles Deleuze. Sur Spinoza. Available at: http://www.webdeleuze.com/php/texte.php?cle=14&groupe=Spinoza&langue=2 [Accessed October 9, 2014]. Williams, B., 2005. Descartes: The Project of Pure Enquiry, Psychology Press. He believed that although Galileo was to be admired, he tended to rush over the subject matter and not explain sufficiently. The purpose of Descartes’ project was to set philosophy on firm principles and work from these in a systematic way (Ariew 1986). We are interested in science as part of intellectual history. We are not, therefore, concerned whether Galileo’s theories are correct or not in terms of the scientific conception of truth, however mistrustful we might be of such a way of thinking about truth. Nor do we need do pay attention to the specifics of Galileo’s theories, as though we were studying physics, though does not mean that details of his interpretations of nature will be of no concern at all. Rather, what matters to us is how, as non-scientists, our conception of the world has completely changed because of Galileo’s achievements. We live in a completely different world view because of the rise of experimental science in the 16th and 17th centuries, and this has profoundly altered the way we view nature. Galileo’s name, therefore, marks an epochal change in our history, and the present cannot be understood without it. Before, however, we discuss what it is that is so important about Galileo, let us first say a few things about ‘intellectual history’ or the ‘history of ideas’, which we began to talk about last week. First of all, and perhaps most importantly, what do we mean by history? The fundamental basis of history must be time, for if we were not temporal beings; that is, had a sense of our own past, present and future, then our history as such would not have a meaning for us. Thus, we can talk about this history of rocks, but it unclear that rocks have a history for themselves. Likewise, we can talk about the history of lions, but they themselves do not have their own history. The time of history is not the same as clock time, though it can be measured by clock time (we say that such and such an historical event happened at such a date and such a time), because it is our own experience of time that is the basis of clock time, and not clock time the basis of our experience of time. Human beings were already historical, have a sense of their own lives and death, and their place in the sweep of generations, long before clock time became the representation of lived time. If we first of all did not live in time, then there would be no calendars and clocks to measure it. What do we mean by the past of history? It cannot mean just what once happened in the present and now has disappeared into past only to be retrieved in the present like a fish pulled out of the river gasping for air on the bank. In some sense, isn’t the past ahead of us rather than in front of us? Heidegger in Being and Time speaks of there being two meanings of history (1962, pp.424–55). One is the positivism of the past, which marches under the banner of the words of the famous German historian Ranke, who raised the study of history to a proper science, wie es eigentlich gewesen (the past as it actually was). The other, far more difficult to understand, and the sense of history that Heidegger will argue for, is the past as the possibility of the future. He asks what makes something preserved in a museum historical. We are not just speaking of statues and artefacts, but all the kinds of things the historian works with: letters, diaries, memoirs, eye witness accounts, government archives, treaties, and so on. For the positivist, these are the facts of history, and what makes history more than fables and myths. Heidegger does not dispute the reality of these documents nor their importance to the scientific study of history, but he asks a more difficult question: what is the ‘pastness’ of the past? Why, when I hold them in my hand, do I say they belong to the past. What is the status of these past artefacts as past, even though they belong to the present, since I holding these documents in my hands now? What is at stake here is what we mean by truth, for it is the authenticity of these past documents (that they really belong to the past) that legitimate history and make it different from myth or storytelling. The historian isn’t interested merely in the fact that the battle of Waterloo happened on the 18th of June 1818, but that such an event can be verified by real witness accounts that have been written down and stored in archive. Just as clock time is derivate of lived time, since if human beings did not live in time, then we wouldn’t have clocks, so Heidegger thinks there is a fuller experience of history on which this narrower conception, however important and interesting it is, must rest. Why would we be interested in preserving this past, and why are some pasts more significant than others, since there are pasts that are absolutely lost, and some pasts that now that interest us (the pasts or women and the marginal, for example) that did not interest us before? Heidegger answer is that the past matters to us because of our present. We can only interpret the past from the vantage point of the present, but this means we see the past in terms of our future. The truth of history is not the collection of supposedly true facts about the past, but how life can be breathed into them so that these lost documents might be retrieved and their burning embers illuminate our world in a new light. We study history because it reveals the present, but in so doing it shines a light forward into our future. When we come to read Galileo, then, we are not interested in it as a dead object that has nothing to say about our present or our future, but precisely the opposite. The world we live in now is the world picture of Galileo, and the dangers of the future precisely spring out of this future. What is at the heart of Galileo’s projection of nature is mathematics. ‘The book of nature,’ he famously said, is written in the language of mathematics’. Nature was not understood, as it was by the Ancient Greeks, and in the Medieval period, inspired as it was by the writings of Aristotle and other Greek philosophers, as made up of qualities, but as a quantity. What we see, colours, shapes, sizes and sounds, is not what is. The ancient Greek word for nature is φύσις. Rather than suggesting a mathematical homogenous reality, φύσις is related to the verb φύω, which means to ‘grow, produce or engender’. In latter medical texts of that period, φύσις began to mean not just the process of something (growing, producing, engendering, and so on), but the nature of something, what it is be that thing (Hadot 2004, pp.39–52). It is this notion of φύσις that we find in the works of Plato and Aristotle and which are passed down to our European heritage through the Islamic scholars by the 12th century. It is this intellectual world that is being rejected by Galileo’s hypothesis. Here nature becomes something very different, and its transformation is something that we still live with today. It is in the next lecture that we shall investigate this transformation metaphysically and not just scientifically (for it is really Descartes who systematises Galileo’s approach and he understands more fully that it requires a whole different way of looking at nature). At this point we only want to describe generally how such a conception of nature is very different from before. It is no longer seen as a living being, but as a machine. It is the machine model of nature that opens it up to mathematisation. It is not that Galileo first sees nature mathematically and then subsequently understands it as a physical quantity, it is because he see nature as machine, whose parts can be explained purely physically, that it is open to the descriptive power of mathematics. It is this physical mathematical model that is still the basis of our modern physics, and affects the way that all view nature and ourselves. The aim of the new science of nature is to uncover those hidden mechanisms behind appearances using the new instruments (like Galileo’s telescope) and technologies, and constructing experiments through which they might be described mathematically. What is at the heart of the new mechanical, physical, and mathematical model of nature is the belief that reality is homogenous. It is homogeneity of physical reality that is the real revolution of Galileo’s world view. For previously to Galileo, both in Ancient Greek thought, and in the monotheistic faiths, nature was heterogeneous and not homogeneous. Thus, the universe was divided into two distinct spheres, the physical and intelligible in Plato, which was then repeated in Aristotle’s double world view in the difference between the sublunary world and the heavenly spheres. The theistic division of the world into the earthly and heavenly was easily overlaid on top of these philosophical distinctions, such that in the long Scholastic period the one reinforced the other. From the perspective of the Church, then, especially since there was no empirical proof for Galileo’s Copernicanism, since it was only a hypothesis, the judgement against Galileo was clearly justified. For it overthrew an image of nature that had existed for millennia. What this homogeneity of nature implied (as Spinoza knew only too well), was not that God did not exist, but that there was no unique place for man in the universe. As Freud remarked, the Copernican hypothesis was a blow to man’s pride, not God’s, since God was required to set such a nature in motion, but man certainly wasn’t (1973, pp.284–5). The universe is made of an infinite homogeneous matter, in which there are infinite stars and infinite planets, some no doubt inhabited by beings who equally mistakenly thought they were at the centre of the universe, but who quite obviously were not, just as man isn’t. That later on God dropped out of the model (‘we no longer need this hypothesis,’ as Laplace famously remarked), should not obscure the fact that it was the disappearance of man that led to the disappearance of God, and not the other way around. You have to read The Dialogue of the Two Chief World Systems with a healthy scepticism (which of course is always the way you should read) (Galilei & Finocchiaro 2008, pp.190–271). 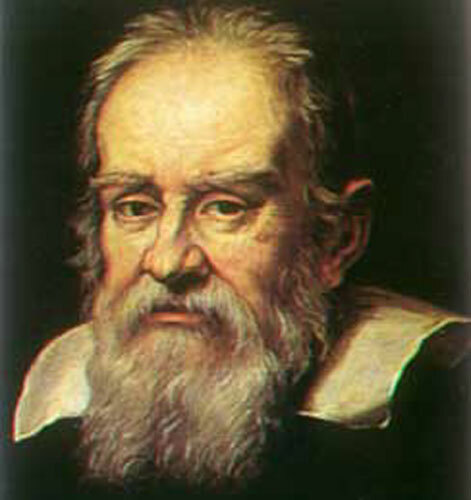 Galileo presents the Copernican system as though it were merely an mathematical hypothesis (which is how Copernicus himself understood it), whereas he believed he already had empirical proof that such a motion was real (he even argued erroneously that it was an explanation of the tides on the earth). What you have to understand is what the motion of the earth implied, however much it went against common sense, and why his opponents, who he represents as slaves to their learning and their books, rather than earnest observational study of nature (though it was his theories rather than his observations that were the source for his own hypothesis), were so adamantly against his views. Because to see the earth as in motion meant that there no difference between the earth and the other planets, and thus there was nothing at all distinctive about it. As he writes at the very beginning of the second day, ‘Independent Mindedness and Aristotle’s Authority’, the traditional view was that the heavenly spheres were ‘ingenerable, indestructible, unchangeable and inert’, whereas the earth was the opposite of this, ‘elemental, generable, degradable, and changeable (Galilei & Finocchiaro 2008, p.193). Galileo’s argument was that there was no difference between the earth and rest of the universe because they were made of one and the same substance, and that the earth is the same as the planet Jupiter, which is clearly moving. It is important to note that Galileo does not get Simplicus (who represents all those who reject the heliocentric view) as not disagreeing with this hypothesis by putting forward a different one, but saying that it disagrees with the authority of Aristotle. Galileo is thereby opposing two different practices of science. One in which observation and theory is fundamental (though he probably overplays the observation, since he already entertained the hypothesis and constructed the experiments to prove them), and the other, traditional and hidebound by the interpretation of texts. The former, Galileo asserts, would have been more attractive to Aristotle than the latter, even though they claim to speak in his name, since he too was a scientist, and if he had looked through Galileo’s telescope would have agreed with him and not his opponents. If we are going to reject Aristotle, he continues, we do not need another author. The only authority we need is our own senses. Our discussion as proper philosophers should be about the ‘sensible world and not a world on paper’ (Galilei & Finocchiaro 2008, p.201). As we shall see next week, however, it is precisely this world that we cannot see. He did not actually say this. The quotation is a gloss of a passage in The Assayer. ‘Philosophy is written in this all-encompassing book that is constantly open before our eyes, that is the universe; but it cannot be understood unless one first learns to understand the language and knows the characters in which it is written. It is written in mathematical language, and its characters are triangles, circles, and other geometrical figures; without these it is humanly impossible to understand a word of it, and one wanders around pointlessly in a dark labyrinth’ (Galilei & Finocchiaro 2008, p.183). For the Liddell and Scott entry for φύσις, see http://tinyurl.com/3a4fsaf. And for φύω, see http://goo.gl/oeZ43f. You are currently browsing the Lectures blog archives for March, 2015.